Before a member of your team can purchase a quote in HubSpot, they must be added as a billing admin in your HubSpot account. 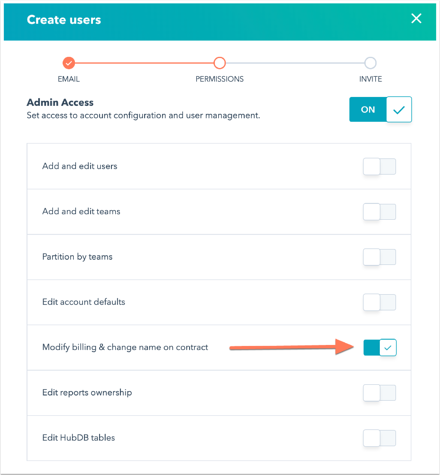 If you have Add and Edit users permissions in your HubSpot account, you can add a user with Modify billing & change name on contract permissions so they can make purchases for your account. In the left sidebar menu, select Users & Teams. In the upper right, click Create user. Here you can configure the user's permissions. To grant billing access, click the Admin tab. Click to toggle the Admin access switch on. Make sure the Modify billing & change name on contract switch is toggled on. Click Next, then click Send. 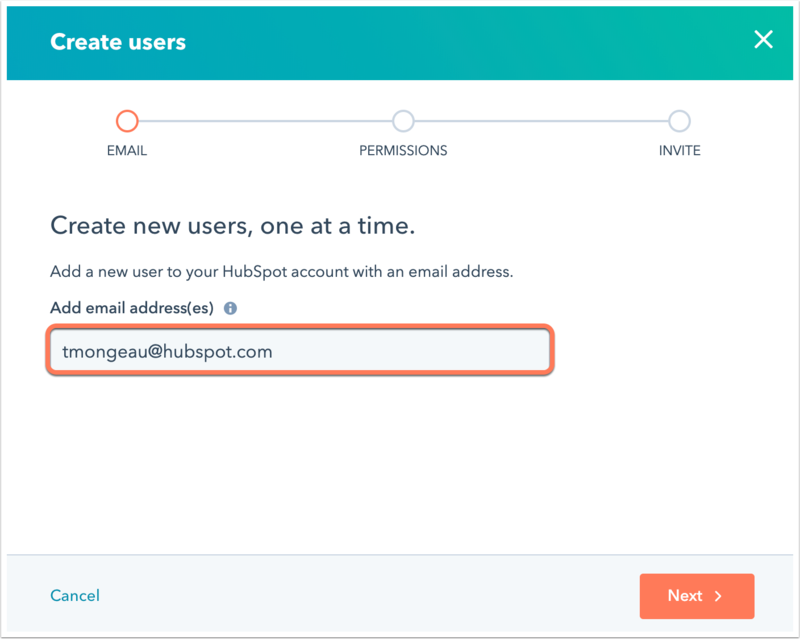 The new user should receive an email welcoming them to your account and prompting them to set their HubSpot password. Once this user has set up their user profile on the account, they can purchase a quote for this account.